mwe3: Emergent was released in the second half of 2016 and its already being heralded as the best Burnt Belief album yet. 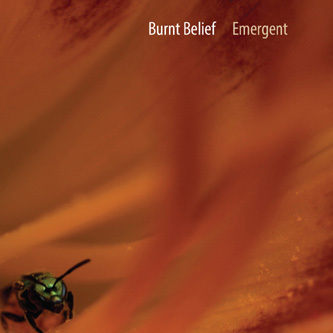 How is Emergent a progression from the first two Burnt Belief albums? You and Colin Edwin and Vinny Sabatino must be very proud of this latest instrumental music masterpiece! Jon Durant: Thanks, we are indeed very proud of Emergent. After Etymology came out, we played at the Progtoberfest in Chicago, which was a tremendous success for us. The biggest thing was that it allowed us to take this very studio oriented process that wed created and translate it into a live setting. We had some trepidation about how that would work, but the big thing that we discovered was how Vinny instantly gelled with Colin. One of the things about Vinny is that his day job is actually playing in a funk band, so his groove is really deep. And, that is also one of the really key things about Colin as well, so I think that the central advance in Emergent is how that groove played out. There is a confidence between them that is really strong, and that in turn allows me to do my thing over the top, and drifting around it, in a really cool and interesting way. mwe3: Some of the Emergent tracks blend fusion and instrumental art-rock while others are quite radio friendly such as track six Language Of Movement. On Emergent, did you try to cover all the musical bases so to speak? Is that what makes Emergent so great, in that you have so many sonic guitar styles in play on the same CD? Jon Durant: A fascinating thing about Burnt Belief is that we really do cover a lot of musical ground, yet somehow it always translates into this totally unique sound and vibe that is Burnt Belief. To be honest, I never think about writing a radio friendly track, but I do have one over riding goal on all my records. And that is: I want to make records that I actually would want to listen to. My opinion is that it doesnt make any sense to try to fit into a formula, just to fit in at this point. We simply have to be honest about the music we make, and that should shine through loud and clear. So, when I am writing these pieces, my idea is to create melodies that are memorable, but not obvious. Creative but not so far out that you dont want to hear it again. Its a balancing act, and I hope that its been achieved on Emergent. I certainly feel like it has been, but obviously Im a little to close to it to tell! mwe3: Its truly fascinating to see and hear the way you work with Colin Edwin. With Colin in England and you in New England, its just amazing how well the sound is put together. What is the inside story regarding this relatively recent space age recording method? The methods of recording in remote locations has improved dramatically over the past five or so years, almost to the point where it sounds like you are all in the same studio! Jon Durant: The process of making these records has indeed been aided by the technological improvements that do make it possible for us to work remotely as we do. That said, we have a process that seems to work well, and one of the ways weve managed to keep some of the feeling of spontaneity is this: once weve got the piece fully put together, which involves back and forth, editing and moving parts around, we then brought the tracks to Vinny to lay down his drums. From there, Colin and I would redo our parts, as live as possible, to finish them and get a little more vibe to the parts. mwe3: You mention how you and Colin share a fascination with the workings of the human mind. Do you find the Burnt Belief music taps into the area in the mind where people are looking for the element of self-induced cerebral relief? I was always willing to call your music New Age Fusion, because it combines that spatial, New Age vibe with the more rock centric jazz-rock fusion sound. What brought you into the metaphysical New Age concepts about consciousness emerging properly and how can we improve our emergent consciousness? Jon Durant: Its important to note that we dont intellectualize or conceptualize pieces in advance, the music happens first and then we start asking ourselves what was going on. That said, there are a lot of subtle undercurrents within the tracks that will often spark a larger part of the whole picture. And this is very similar to how subconscious thoughts or feelings can point you in directions you wouldnt have necessarily gone. As for consciousness, the brain is a fascinating field of study, and its only recently that weve been able to have enough scanning resolution to see whats going onand we are still a long way from knowing very much at all. Ive been reading a bit of work by the neuro scientist VS Ramachandran, and his work with phantom limb patients is really quite extraordinary in that it shows how much the brain can retrain itself with a bit of work. Some of his work with split brain patients is also quite interesting. Ive always been interested in psychology, and Ramachandran is really going into some new areas with respect to how neurology impacts psychology. I dont have much to say about higher consciousness ideas, as Im very much in the camp that sees consciousness as a process within the brain, not an entity that exists separately from the brain. So to me, any improvements are going to come from hard workand that can be in the form of practice, reading, meditation, or anything that helps you keep your brain engaged on what you are focusing on. mwe3: Has Burnt Belief been able to cross over into the jazz radio world? Do you find there are still some jazz stations reluctant to play heavier sounding jazz? Even so, is Emergent your most radio friendly release yet? What is your preferred method of bringing your music to larger audiences and what does the future hold regarding the possibility of Burnt Belief live in concert? How has the internet been treating you lately? 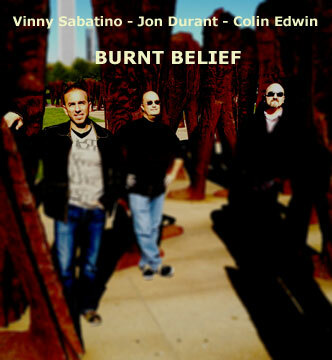 Jon Durant: Jazz, with a capital J, radio isnt going to be playing Burnt Belief any time soon, I wouldnt think! However, the stations that extend that word to include fusion and world musics, have found our music interesting. Its always a challenge when you make music that purposefully stays out of obvious genres. Im always amused by the variety of responsesthere are stations that have had us in their top 5 tracks for a month, and others that just wont play it. I would think there are tracks on Emergent that should be radio friendly, and early indicators are that it is. Well see how that goes. As for the internet: the more it becomes a commercialized thing, the less friendly it is. Once upon a time, when your band posted on Facebook, all your followers would see it. Now, only a few do unless you pay for it. Having seen that the live thing works, we are trying to put something together for 2017. Unfortunately the costs involved are heavy, especially trying to get Colin a work visa for the US, so the more likely scenario is that well be playing in Europe where theres a little more audience for instrumental music. 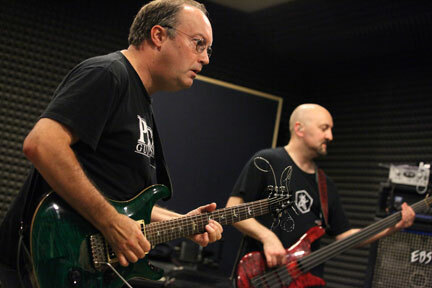 mwe3: Whats new in the guitar world for you and what guitars did you record Emergent with? Is there a Jon Durant signature guitar in the future and what would your optimum signature guitar include? Also whats new in the effects world of recording for you and what were the key effects and amps that you used on the Emergent CD? 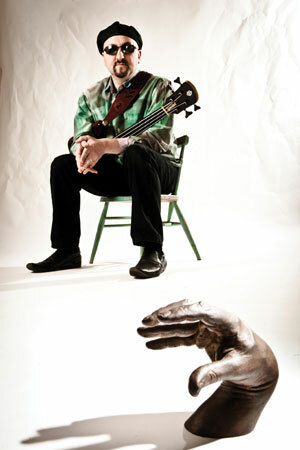 Jon Durant: One of the cool things on Emergent is my new Fretless guitar that was built for me by Saul Koll guitars. Its a wonderful instrument and I had him put a Sustainiac pickup in it to help get over the fact that fretless guitars inherently dont sustain much. I really enjoy the phrasing thats possible with it, and its featured on three of the tracks  More Snow, Emergent, and Ghosts Aquatic. Funnily, I was talking to Saul recently about the perfect jd signature guitar and it would really need to be a double neck with a fretless, and then a midified six string with a great whammy bar. The problem is that at my age, Im not sure my back and new knee would be happy holding it for long! My effects and amp havent changed a lot from the last recordthe Pigtronix Echolution 2 is a central part of the scene, and the Eventide 9 also plays a big role. One fun piece I added was the crazy Antichthon fuzz box from Catalinbread which shows up in the nasty guitar stuff thats in the background of The Bubble Bursts and some of the cloud bits on Emergent. Im still quite happy with my Mesa Boogie Mark V amp and thats responsible for the lead tones on the record. mwe3: What has Colin been doing musically of late? I know his partner in Porcupine Tree, Steven Wilson has been remixing everything! What do you think of Wilsons historic work and how do you think he came up with the remixing idea? What are your favorite Steven Wilson remix albums? 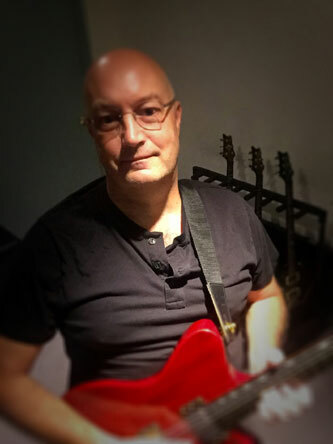 Jon Durant: Colin has been incredibly busy lately with a number of projects going on including Obake, O.R.k, Metallic Taste of Blood, Twinscapes, and many others as a sideman. I have a number of Stevens remixes, and many are wonderful. I especially like what he did for XTCs Oranges And Lemons and Gentle Giants Power And The Glory. Many of his Crimson mixes are great, but Im disappointed with the couple YES ones Ive got. mwe3: Youve said Emergent will be the third in the planned trilogy works with Colin Edwin. Where does that leave Burnt Belief as far as the future goes? With an album as good as Emergent it seems the sky is the limit right? I hope there will be more as the sound of Emergent is brilliant. Jon Durant: Its a complicated thing for us. Theres no question that the musical team of Colin and I is a strong one. I think we really compliment each other well, and my areas of strength and weakness are offset by his different areas of strength. 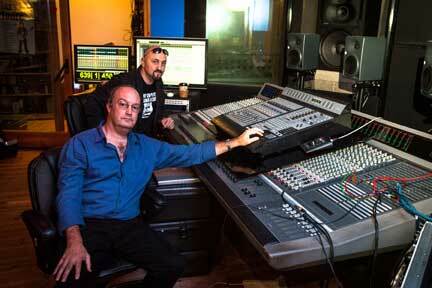 So it does seem as though we could certainly continue to create interesting and compelling music for some time. The problem is that making records simply isnt a cost effective thing any more. I wasnt planning on doing this one, but the music began to happen and we knew it was valuable and needed to get out there even though I know Im going to lose money on it. But at some point, thats going to have to stop.